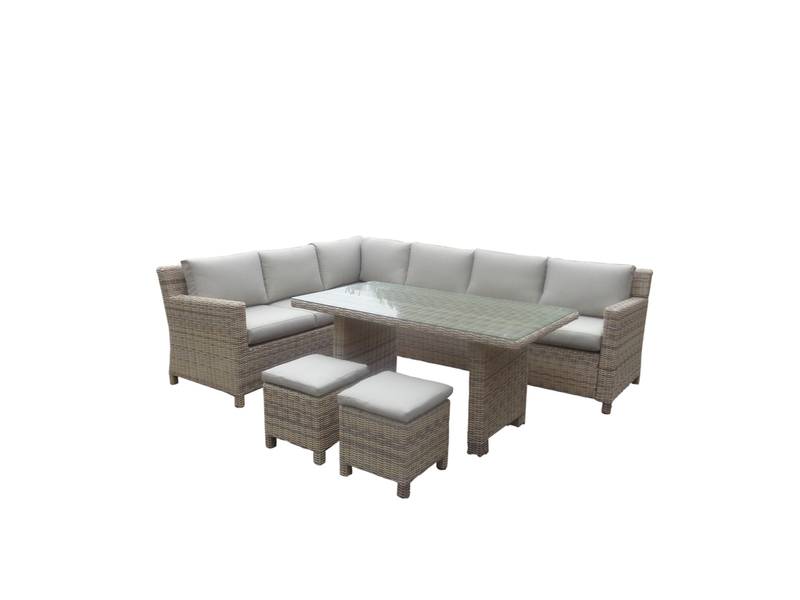 This six Seater Rattan Corner Sofa, It´s great for gardens with limited space. The L-shaped design will sit neatly against any wall or fence, or make a stylish centrepiece in a vast open space. 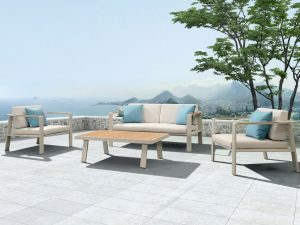 The sofa design creates a relaxed feel for up to six people while the additional stools add a further 2 seats for those bigger get-togethers. 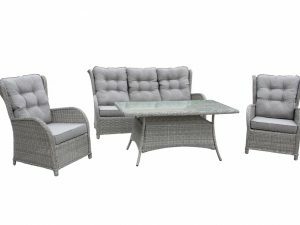 Whether you’re dining, relaxing or entertaining – this set offers the perfect space to do it. This rattan is durable in a strong closely-knit weave. Low maintenance material will remain looking its best with a simple wipe down. 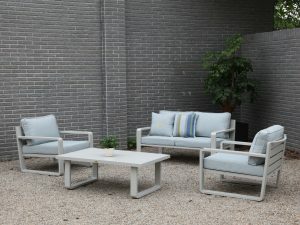 Aluminium Frame and Top Quality Round Wicker.